Alexa alone doesn't make up for mediocre audio quality. The Amazon Echo has been an unexpected hit for Amazon. Since it came out a year and a half ago, the always-listening Alexa has expanded its reach beyond ordering stuff and answering questions about the weather to controlling household items and cars. Now, not too surprisingly, Amazon is integrating this winning feature into new products. 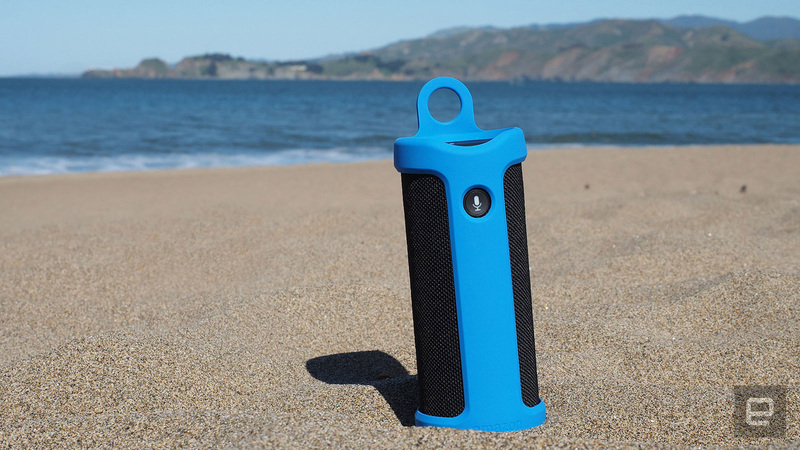 Case in point: the Tap, Amazon's $130 voice-controlled Bluetooth speaker. But unlike the Echo, you have to press a button: You can't just yell a keyword to get the device to listen to random questions or commands. The result is a mediocre voice assistant in the body of a mid-range speaker. Like the Echo, the Tap takes the form of a black cylinder with a mesh exterior that reminds me of old-school speaker covers. Personally, in a world of Day-Glo plastic, I'm a fan of the throwback design. 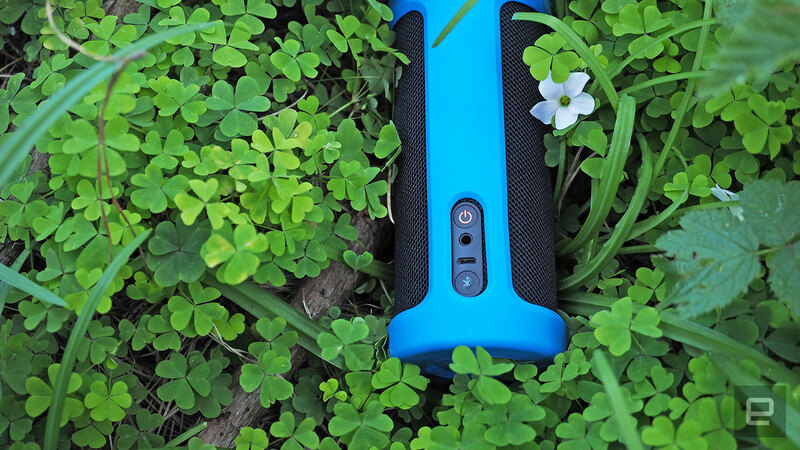 Because on-the-go speakers are constantly being shuttled in and out of bags, though, they also need to be able to withstand some contact with the ground. Amazon doesn't specifically claim that the Tap is rugged, but it sells an optional silicone case for $20 that Amazon says adds some extra protection against bumps and drops (it also adds a handle, to boot). For my part, while I didn't actually drop the speaker on purpose, it was solid enough to handle a few tumbles. Continuing our brief tour, there are track and volume controls up top, meaning if a song comes on and the phone that's streaming to the speaker isn't available, you can still quickly skip that expletive-filled track you forgot to remove from your playlist before your parents' barbecue. As for charging, you get both a USB port as well as an included dock that's meant to live at your desk. When it's away from the dock, Amazon promises nine hours of music. I used the speaker for eight hours over the course of four days without it asking for a charge. So it'll definitely make it through a long day at the beach. Amazon used long-term speaker partner Dolby to give the Tap its decent omnidirectional sound. At low and mid volumes it produces quality audio if you're not too concerned about the bass notes. But when you crank it up, everything gets a little muddy. For the price there are better-sounding speakers out there from Logitech and Bose. But then again, none of these competitors have Alexa inside. Indeed, it's the digital assistant that Amazon hopes will get you to pick the Tap over other Bluetooth speakers. All of Alexa's features are there: the ability to ask questions, order stuff and control your connected home. It's sort of like the Echo but not really, given that you have to hit that button. 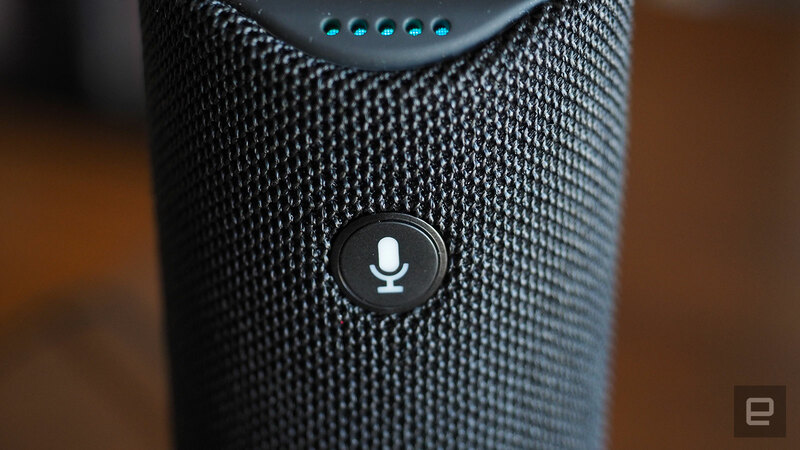 Pressing that mic icon wakes up Alexa for all of your queries. But the truly killer feature (and source of privacy-advocate paranoia) is that the Echo (and new Dot) are always listening for a wake command. Adding a button kills the magic of the digital concierge. It also doesn't help that this feature is inaccessible when you step outside of your home's WiFi range. But that's what portable speakers are for: leaving the house with your tunes. The Amazon Tap isn't a bad product; it's just odd. For the same price you can get a better speaker and just leave Alexa where it belongs, in the home. But there is at least one use case in which it makes sense: the backyard. Other than that, if you're looking for better sound in the home, the $90 Dot (a tinier version of the Echo with an audio-out port) can be connected to any speaker with the always-listening Alexa features. Outside of your property line, you have to make a choice: better sound or a feature you can't really use every where.